“​​​​​​​The Haitian Revolution and the Louisiana Purchase” by Paul Lachance, Ph.D.
"​​​​​​​The Haitian Revolution and the Louisiana Purchase" by Paul Lachance, Ph.D.
﻿Lachance is a professor in the Department of History at the University of Ottawa. He has written numerous articles on slavery, Haiti, and the Louisiana Territory. ​ Just as the success of the American Revolution is linked in many ways to the loss of the first French colonial empire in 1763, the Haitian Revolution is an essential part of the developments leading to the doubling of the territory of the new nation by the Louisiana Purchase in 1803. 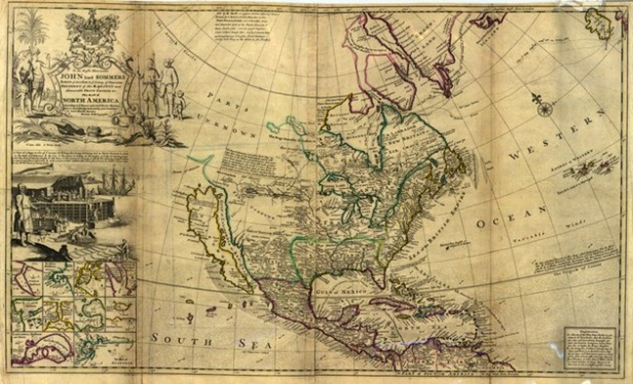 Soon after Napoleon seized power, he took the first step to reconstruct a French empire in the Americas – the secret Treaty of San Ildefonso in 1800 whereby Spain agreed to the retrocession of the territory to the west of the Mississippi River that France had ceded to it in 1763. Then, taking advantage of the treaty of Amiens that ended war with England, three military expeditions were organized in 1802: 35,000 troops to depose Toussaint Louverture and restore metropolitan control over Saint-Domingue, 3,500 to pacify Guadeloupe, and 3,000 to take possession of Louisiana. The third expedition never departed. Orders disbanding it arrived on May 2, 1803, two days after the Louisiana Purchase Treaty was signed in Paris. In Napoleon’s western design, the French West Indies were to once again produce and export sugar, coffee, indigo and cotton to markets in France and Europe. Louisiana was to play a secondary role, providing foodstuffs and lumber to the Caribbean colonies, thereby avoiding the dependence on illicit trade with British North America that had made a mockery of the exclusif in the empire of the old regime. Herein lies the connection of the Louisiana Purchase to the Haitian Revolution. When Napoleon’s counter-revolution in Saint-Domingue failed, so too did the raison d’être for the return of Louisiana to France. To prevent its conquest by Great Britain when war resumed, as it did in May, he made the dramatic decision to sell the entire colony to the United States. Reports from Napoleon’s brother-in-law General Leclerc, the commander of the expedition to Saint-Domingue, made it clear how desperate his position had become in July, 1802, when news of implementation of edicts to restore slavery and revive the slave trade in Guadeloupe reached Saint-Domingue, provoking massive resistance at the moment that thousands of European soldiers were dying of yellow fever. Shortly before he himself succumbed to the disease on November 2, he wrote that his only hope lay in a strategy of terror and genocide: "We must destroy all the blacks of the mountains–men and women–and spare only children under twelve years of age. We must destroy half of those in the plains and must not leave a single coloured person in the colony who has worn an epaulette." Although the French army did not withdraw from Saint-Domingue until the end of 1803, Napoleon’s decision in April to sell Louisiana to the United States suggests he already despaired of reversing the Haitian Revolution and resurrecting a French colonial empire on the other side of the Atlantic.